Fleetway Rentals – Introduces to its Fleet the new Minibus Lite, a versatile 17 seater lightweight minibus which can be driven by any member of staff with an ordinary driving licence! Minibus Lite is a Type Approved, versatile 17 seater lightweight minibus which any staff with an ordinary driving licence can drive. All our models are fitted with wheelchair ramps. 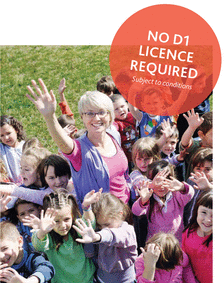 Gaining a D1 licence is expensive and inconvenient, involving formal examinations. Whereas, for Minibus Lite, the driver just needs the MiDAS training course or Section 19 Permit. Minibus Lite is the perfect transport solution for many schools, academies, colleges and universities, opening up your logistics options as any suitable teacher or member of staff can drive their class or group to an event or visit. With wheelchair ramps fitted as standard our new member of Fleet really is a versatile vehicle! Meet your new member of staff! It’s no surprise MINIBUS LITE is the FIRST CHOICE for Schools, Colleges, Academies and Universities across the UK. Minibus Lite is the perfect transport solution for many schools, academies, colleges and universities, opening up your logistics options as any suitable teacher or member of staff can drive their class or group to an event or visit. FOR EXAMPLE, training for a D1 licence costs approximately £1000** per person and the national pass rate is just 60%, over 5 years the additional cost for training four staff per year would be £20,000. The minibus Lite truly is a cost saving versatile vehicle.